*This post was done in collaboration with TinyPrints, but all the opinions and photos are my own. 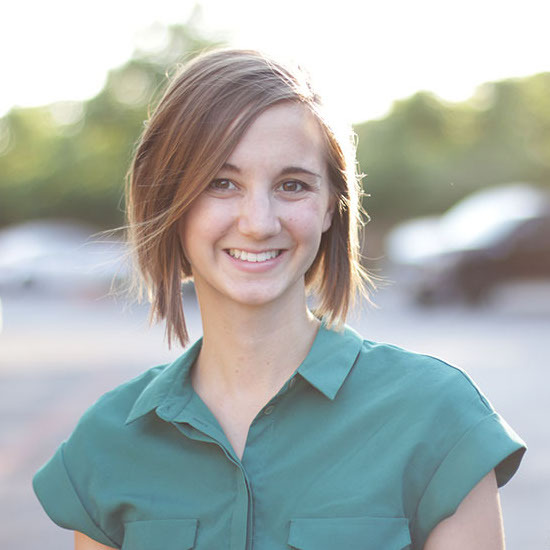 Thanks for continuing to support the brands that make this blog possible! Christmas time has always been a magical time of year for me. There is something very special about putting up the Christmas tree, stringing twinkle lights and pulling out the scarf and coat to go caroling (which I actually haven't done for years... I just like the idea of it). One my favorite Christmas memories from my childhood was the Christmas cards that we received. It was always fun to hear my mom talk about who this or that person was, and how she knew that person, and to see cards from friends and family. We had a specific place that we would always hang Christmas cards, so anytime a new one would arrive, one of us kids would rush to get the tape and hang it up next to the other ones. I loved watching the collection grow and was always a little sad to take them down after New Year's. After we got married, it felt like so much work at the busiest time of the year, so I didn't do it. And didn't do it. And didn't do it. Finally, when I was pregnant with Fox, I got my act together and we sent out this card to some close family and friends (and here is last year's card). I was thrilled with the result and am so glad we did it. 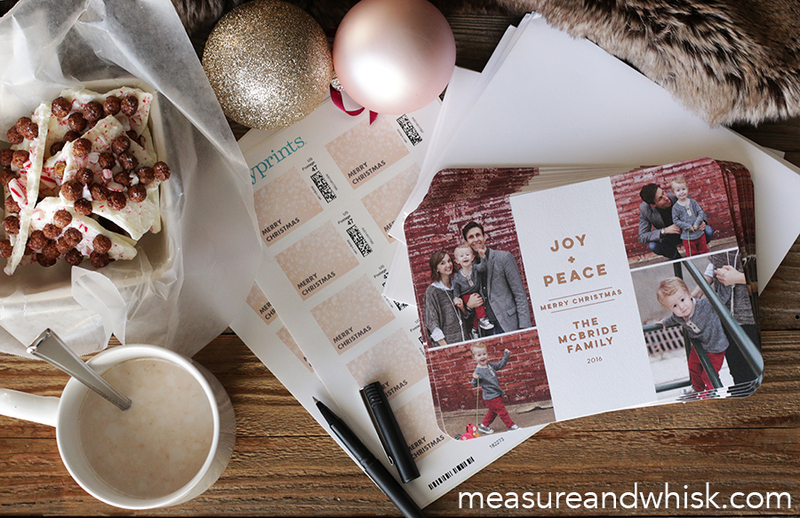 For me, there are a few great reasons to send out christmas cards: First, it gives me a reason to take family photos, which is always a pain, and hard to get done, but I treasure those photos. And second, it felt like such a lovely gesture to send out a holiday greeting and something with part of you in it. Third, it definitely helps you stay connected to family and friends that you don't have occasion to see or connect with very often. My parents had people that they had sent Christmas cards to for years, that they hadn't seen, and I thought that was really cool. 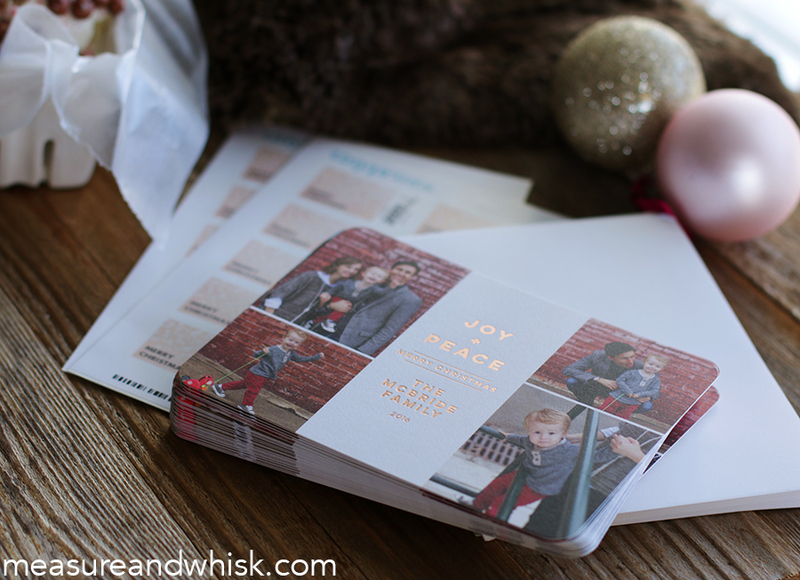 I always get my cards from TinyPrints, and they do such a phenomenal job. They have tons of interesting and fun options for customizing your card (like laser cut outs, custom foil work, and a year in review cards), the paper they use is really high quality, you can choose to have a pattern on the back of your card, they have envelope liners (I think there is something really classy about having a nice reverse side of your card and a pretty envelope) and they have even added the option of having them address your cards for you! They also have partnered with Baby2Baby that helps provide low-income babies with necessities of life, so for every holiday card, or birth announcement you buy from that collection, they donate some of the proceeds to Baby2Baby. I really wanted to use a card from that collection, to support that mission, but couldn't find one that worked with our photos this year, but I think that is such an amazing way to give back at this time of year. The last two years, I have had so many photos that I liked of Fox (he is just the cutest with that little pull-along pony! ), that I just had to do a card with multiple photos, so we chose this card, that felt so clean and modern. We are so looking forward to sending out such a beautiful card to friends and family this year! 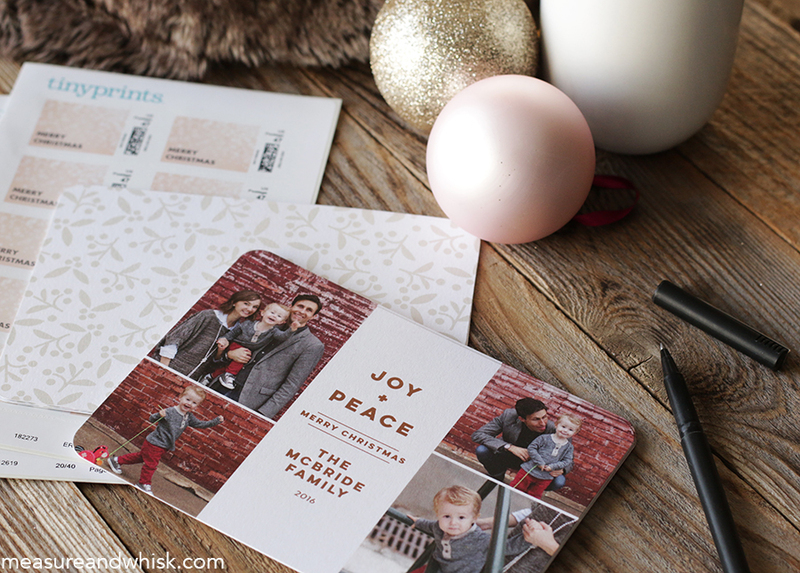 TinyPrints also has a ton of gorgeous stationary that would make a great holiday gift or thank you notes for after Christmas (it is great if you order them with your Christmas cards, because then they are ready to go after Christmas). 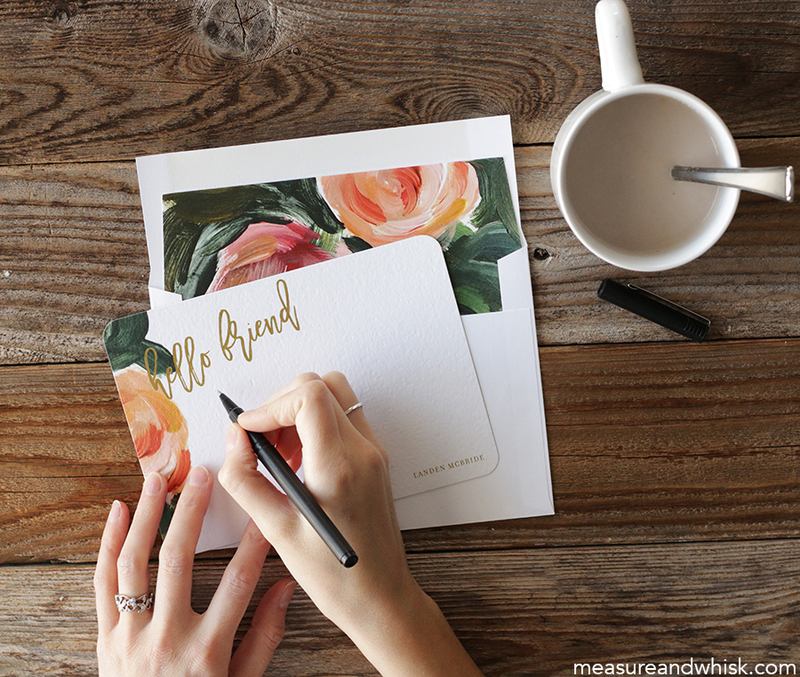 I used to think it was a huge hassle to send out thank you cards, but now I realize what a gracious gesture that is, and I always try to send one after receiving a gift from someone, and love keeping a stack of pretty notecards on hand (slowly, slowly I am becoming an adult...). I am pretty obsessed with the set I got this year. I might ask Adam to put them in my stocking for me so I have something lovely to unwrap on Christmas morning. 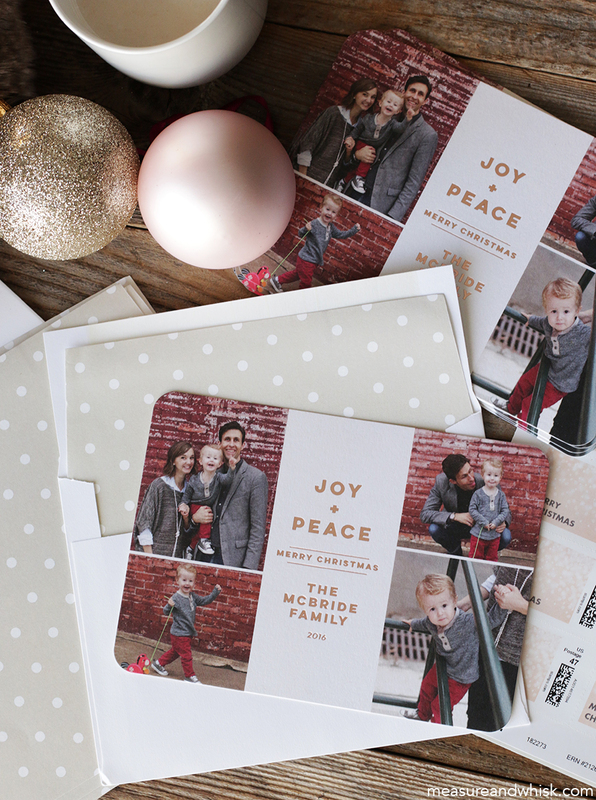 All of TinyPrints Holiday cards are 50% off this week, so if you are in the market for some gorgeous Christmas cards, head on over and check them out! Thanks for tip about the discount - I had previously found a design I liked, but hadn't pulled the trigger because of the expense.